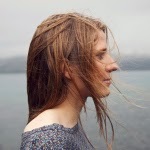 Oscar Award-winning musician (and half of The Swell Season with Glen Hansard) Marketa Irglova is coming to Toronto to play the Mod Club on October 9th. It's in support of her album Muna, which came out a couple of weeks ago. I'm pleased to have some passes to give away for the show. If you want them, hit my up by email or on the Twitters.